As an artist (and a person) I'm always looking for inspiration. 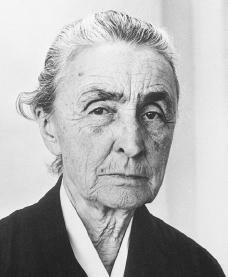 To say that Georgia O'Keeffe is an inspiration would be an understatement. There is a reason she is the most famous female artist and one of the most photographed and written about women of the last century. 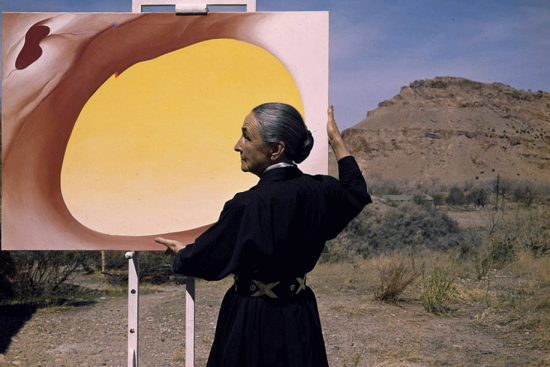 So rather than add to the vast writing about O'Keeffe I'll try to (briefly) explain why I personally am drawn to not just her work, but her life and her spirit. I've only been seriously painting for the last year or so and all that time I have fought a bit of an inner battle over sharing my work. While my constant social media stream may say otherwise, it is difficult to put your work out for judgement. Making anything is an act of courage and O'Keeffe is a great example of living courageously. I am inspired by O'Keeffe to take time to look at things deeply. To take all the beauty that surrounds me and create without excuses or reservations. The New York Times noted that she "would wrap herself in a blanket and wait, shivering, in the cold dark for a sunrise to paint; would climb a ladder to see the stars from a roof, and hop around in her stockings on an enormous canvas to add final touches before all the paint dried." That is how I want to live my life. I think about this quote a lot - especially on planes (ha) But seriously, I've made a great effort the last few years to acknowledge fear and keep going. I would never have some of the amazing experiences that I have if I allowed fear to rule. And because of that, one of the greatest compliments I can receive is that I am brave. Georgia was brave - brave in her art and her life. She lived the way she wanted to and did the things she wanted to. She made the backseat of her Ford Model A into a painting studio, she took a rafting trip down the Colorado river at 74 and painted until she became blind - (but then she started sculpting!) She was always evolving and paving the way for so many women and artists to come after her.